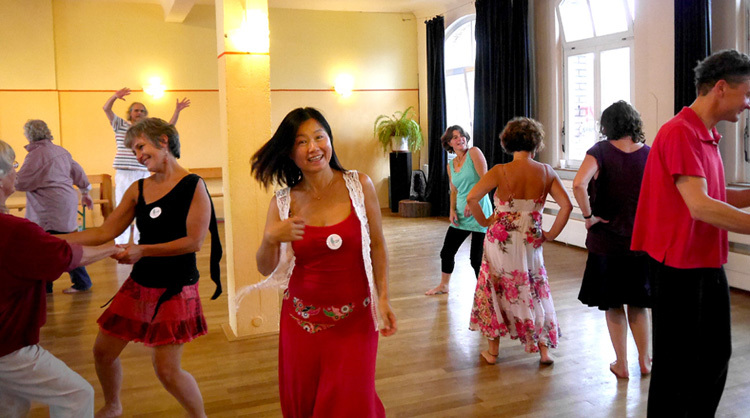 Biodanza is creative, expressive dance that fuses music, your authentic movement and heartfelt emotions to create a safe space where you can explore, expand and embrace the many potentials inside of you with the power of the group. Biodanza brings joy, expansiveness and expression to centre stage of your existence! It helps us opening to the love, tenderness, affection, nurture and nourishment available from intimate human interaction on all levels: emotional, physical and spiritual. Biodanza is now embraced worldwide by 100,000+ Biodanceros weekly on 5 continents in 45 countries with over 2500 facilitators and 100 IBF (International Biocentric Foundation) Schools offering trainings and profound personal development! No dance experience is necessary to join in – you can start immediately! Hope we will meet at one of the groups sometimes soon.